Judges for the 2018 Gold Nugget Awards have named Freehold Communities as an Award of Merit winner in its annual competition, which honors architectural design and planning excellence and draws entries from throughout the United States and internationally. 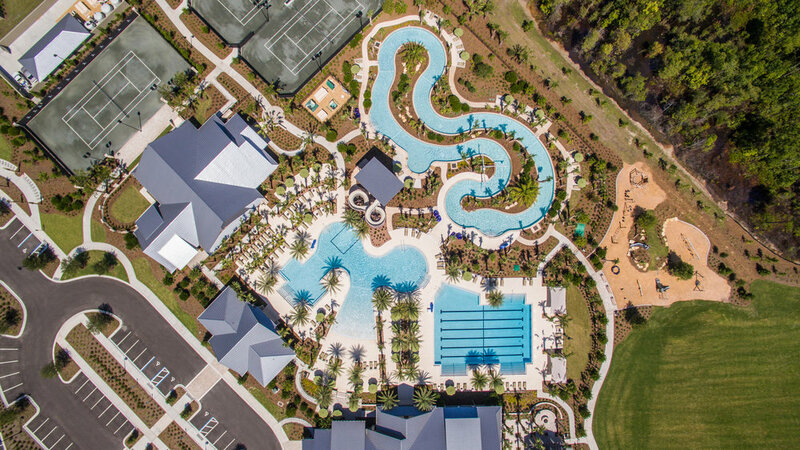 Shearwater, an ELM-designed community in St. Johns, Florida, was recently honored with Awards of Merit by the 2018 Gold Nugget Awards for both Best Community Land Plan, and Best Indoor/Outdoor Lifestyle for a Community. PCBC’s Gold Nugget Awards are presented annually to innovators in design, planning and development, and the competition is open to builders, architects, developers and land planners with projects located across the nation and globe. Shearwater was designed to be carefully woven into the native landscape, with parks, open spaces and trails that encourage residents to spend time outdoors and enjoying the Florida sunshine. With a beautifully natural existing site, ELM designed Shearwater for a multigenerational population including active families. Shearwater embraces the qualities of ecological preservation and human activity – together. Congratulations to Shearwater and Freehold Communities!